Tax Forms to be Considered When a Loved One Passes | JAK + CO. I am frequently asked the question “Which tax forms am I required to file following the death of a loved one?” While one might expect the answer to be succinct, it rarely is—mostly because it will depend largely on your personal situation. Generally speaking, you will almost certainly need to file a final individual income tax return, but you may also need to file a federal and state estate tax return as well as a federal and state estate income tax return—possibly a total of three different types of returns. Here’s what you should know about each. Necessary if the decedent’s gross income exceeds the filing limit, or if filing with surviving spouse, or to claim a refund or refundable credit. April 15th following year of death. The gross estate at death plus taxable lifetime gifts exceeds the applicable exclusion amount. The 2018 federal exclusion is now $11,200,000. Payment is due at nine months from date of death (possible to extend). The gross estate at death plus federal taxable gifts made within three years of death exceeds the applicable exclusion amount. The 2018 Minnesota exclusion is $2,400,000. Payment is due at nine months from date of death (automatic extension). An estate tax return is needed if the gross estate (i.e., the assets held at death) of the decedent exceeds the exclusion amount. Because the Minnesota exclusion amount is lower than the federal exclusion amount, it’s possible you could be required to file for Minnesota and technically not for federal. 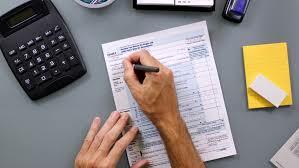 However, Minnesota requires a copy of the federal estate tax return be attached to the Minnesota return. This means we have to complete a federal return, even if the client is only filing for Minnesota. Also, it may make sense to file a federal estate tax return if there is a surviving spouse. Even if the estate is under the filing limit, you must file to take advantage of the Deceased Spouse Unused Exemption (DSUE). This exemption allows for any unused exclusion amount from the deceased to be passed to the surviving spouse. If the estate generates more than $600 in annual gross income. It depends. This is often based upon a fiscal year-end, not a calendar year-end. A fiscal year-end (anything other than a calendar year-end) generally allows any income reported to the beneficiaries to be deferred to the next tax year. Same as federal, detailed above. The biggest confusion when filing tax forms upon the death of a loved one is often triggered by the estate income tax return. An easy way to understand “estate income” is to think of it as the income generated from the date of death up to when the asset is distributed. For example, the estate holds a portfolio holding until it is distributed to a trust or individual. The holding’s income and deductions—up to the time of distribution—are taxed on an estate income tax return. Again, these requirements will vary depending upon personal circumstances. Although it can be incredibly overwhelming to think about tax forms as you grieve a loved one, it’s an important task that should not be left on the back burner for too long. If you have questions regarding your situation, or if you are unsure of the latest requirements, please don’t hesitate to give me a call.